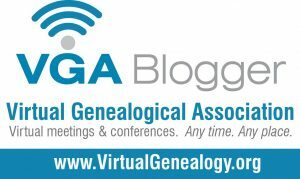 Legacy Family Tree Webinars now has their 2018 webinar schedule posted. I love their webinars and have learned so much from them. Register at the above URL to attend any of the webinars which interest you. If you would like to have access to all of the webinars in the library you have the option of subscribing. You can find more info on that on their website. FamilyTreeDNA sent out an email to person's who have tested with them that has sale prices for upgrades. I hope that the surname groups are taking advantage of this and upgrading the 12 and 25 marker kits to 37 markers. I'm not sure how long this is running though I would imagine it will end when the holiday sale ends. You may also be able to find coupon codes which would save even more money on the purchase. Check your FTDNA account(s) for further info. Logging on the account you want to upgrade and then clicking on upgrade or CART(upper right corner of the page) will show you what is available for that kit. Most of Bedford County Tennessee's marriage records prior to 1861 did not survive so locating a marriage mentioned in a newspaper is a wonderful find. In the 1836 Early TN Tax List Records for Wilson Co TN's Dist 17, it appears that the State of North Carolina owns 317 acres valued at $1000 for which they paid $70 tax. I did not find a 1837 tax list but checked the 1838 tax list for Dist 17 and didn't see the State of North Carolina listed as owing tax. While researching the Cook line I came across the story of Benjamin Woodward a money maker-- but not the legal way. He was a counterfeiter. I developed a timeline of events using the articles that I was able to find at the Newspaper.com site. The Cookes named in the first incident are likely cousins of mine. Our Y DNA links to Shem Cooke(who married Ann Rucker) out of Virginia and Granville Co. North Carolina. I can't positively identify them as there are many who carry the same name in the Cooke family and who live in the same area but given the Rucker name is also mentioned I'd consider it highly likely that there is a connection. Keep in mind while you read this that the punishment for counterfeiting was death. This could be a movie plot. Capt. John Lightfoot returns from a trip to Pittsylvania on order of Gov. to apprehend and bring Benjamin Cooke, Joseph Cooke, James Cooke, Benjamin Woodward and Peter Medley in for questioning. John Short, a former under Sheriff had reason to believe they were involved in counterfeiting and passing counterfeit notes. At the time they were taken in, they had been at their shop where tools used in the producing counterfeit notes and coins were found. All subjects with the exception of James Cooke(he did not appear to have done anything criminal) were taken on to jail and will go to York for further examination next Tuesday. Several others also committed to jail on suspicion of being involved with the counterfeiting. Gideon Rucker and Shem Cooke of Pittsylvania and John Hightower and William Hightower of Lunenburg have fled and the Governor is offering a reward. Benjamin Cook, Benjamin Woodward, Joseph Cook, and Peter Medley, from Pittsylvania, for counterfeiting Gold and Silver Coins, and passing Counterfeit Treasury Notes: Acquitted. "The Testimony of John Short, the principal evidence against the prisoners, was invalidated by sundry evidences in their behalf, who proved him a most atrocious Villain; and their counsel even made a motion in court to have him indicted for perjury. He is since gone off; and has left behind him in this city, a wife and six helpless children in most pitiful circumstances." Benjamin Woodward publishes denial of claims that he is involved in counterfeiting. Benjamin Woodward brought to town with 4 other suspected accomplices. Terrance Thynne is brought in on charges of passing counterfeit bills. He claims no knowledge that the bills not being authentic. He obtained them from Benjamin Woodward. Thynne's witness is also found to have been guilty of passing counterfeit. James Arthur is also brought in and more information on Benjamin Woodward's operation is obtained. Statement from Baltimore on July 18th. Beware of counterfeits of Virginia Military Certificates. believed to be passed by the brother of Benjamin Woodward of Dinwiddie Co. near Petersburgh, Virginia. While it doesn't give the first name of Woodward's brother it is likely the Jesse Woodward mentioned in the previous article. Description about 5' 7" or 8" well set, about 40 years old with short black hair, little grey ruddy complexion, dark eyes, with a small piece of his nose bit off(near upper part of right nostril) Last seen wearing black hat and cloth coat, nankeen waistcoat and breeches. Google Books also have a few that mention counterfeiter, Benjamin Woodward. I'm sure there was a lot more to the story. This bit of information from The Kansas Herald peaks my curiosity as to why there were so many new subscribers from Unionville TN. Was Mr. T.J. Fain THAT good of a salesman? Were there folks from Unionville considering moving there or who had family there? The atDNA kit for my Dad's only living sister arrived today and will go out in tomorrow's mail. Also noticed that my brother's YDNA upgrade to 67 markers had a batch number. My daughter should get her swab kit for the mtFull Sequence soon and then we can all hurry up and wait together. I uploaded a tree to my Aunt's account so that is already in place. Hopefully I will remember to add the processing times at TheDNAGeek.com's DNA Test processing times page. I found a "vanity' bio for Roland J Cooke 1839-1913, a 2nd Great Grandson of Shem Cooke & Ann Rucker. He was the grandson of Roland Cooke(West TN Primitive Baptist). His family had moved from Gibson Co TN on to Yalobusha Co., Mississippi and then to Phillips Co. Arkansas. Couldn't find a marriage record for his parents in the Mississippi county records but there was one that listed the marriage for the couple given as his parents about 10 years later than what it should have been considering Roland J was the oldest. I'm not sure if he was from an earlier marriage or if there is an error in the source only gave the year which doesn't sound like one from court records and I didn't care for the description of the source which is an Ancestry Database of compiled Mississippi Marriages(see source info below) with no digital images. Hunting For Bears, comp.. Mississippi Marriages, 1776-1935 [database on-line]. Provo, UT, USA: Ancestry.com Operations Inc, 2004. Original data: Mississippi marriage information taken from county courthouse records. Many of these records were extracted from copies of the original records in microfilm, microfiche, or book format, located at the Family History Library. So really still not sure and I'm taking this info with a boulder size grain of salt until I see original source info. The bio continued the theme and also was 10 years off on his mother's year of death. Still it gave me info on where descendants from this line may live and should help in identifying them should they show up among my DNA matches. Family Tree DNA has their Holiday sale on with a variety of test packages and upgrades available. I took advantage of the sale over the Black Friday Weekend. I purchased an upgrade of my brother's YDNA-37 test to 67 markers, a Family Finder(FTDNA's autosomal test) for my Dad's only living sibling and a mtDNA Full sequence for my daughter. For the tests that I manage, I have more Promo codes than I can possibly use so I am posting the ones from this week here if anyone needs them feel free to see if they are still active. I will post the ones for this next week as soon as I get them. I'm already really excited about seeing the results of the tests I purchased as well as seeing a bunch of new matches show up from all the sales at FTDNA and AncestryDNA. If these coupons do not work they have probably been used by another one of my readers. I offer them on a first come first serve basis. ** Some people have reported that they were able to use the Y 37/67/111 coupons on upgrades. Rowland Cook, you had mail. In my study of the lines of Shem Cooke (brought about by the results of my brother's YDNA test) I've noticed several names which are used frequently by his descendants. Shem/Shemuel/Isham, Rowland and Claiborne are very common in his line so I've been collecting and studying each of those including all of the spelling variations of both the given and surname. 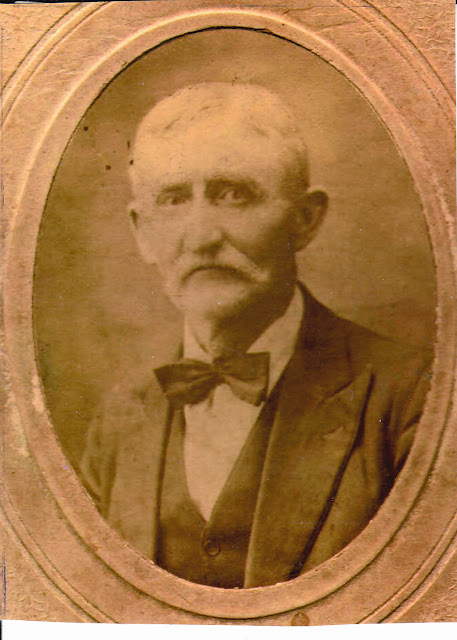 I found mention of a Rowland Cook in a listing of persons with letters remaining at PO in Cedar Bluff Alabama(Cherokee Co.) This would be Rowland B Cook, son of Shem Cooke and Temperance Blackwell. Why was his mail not picked up? Maybe he was away on business in 1841 or had just lapsed on picking up his mail. He was enumerated in Cherokee Co Alabama in the 1840 AND 1850 Federal Census. This branch is covered in Many Cookes and their Broth (see Ancestry Message board post about book) published in 1967 by Charles G Cooke, which is a self described "genealogical outline of the Cooke Family of Virginia, North Carolina, Georgia and Alabama." The author mentioned that he had been unable to place where Rowland B. Cook was during the 1870 census. According to records within the churches where he attended and preached, he had removed to Giles Co TN and been there during that time. Improved search and indexing in recent years has allowed us to see that he was enumerated in Madison County Alabama with his wife(30 yrs his junior) and their children. Amazingly in this entry he is only 5 years older than she. Given the names and ages of his children and wife I can tell this is him. The Special Census entry for Almedia and James was the first one that I located and led me to finding those for the rest of the extended family. In the initial post(US Special Census Find) I detailed the information for the couple so I won't repeat most of it but I would like to add additional info which was not on that form about the family. James and Almedia were married about 1874 according to their deaf census information and their 1900 census entry says about 1875. Their marriage took place in Franklin Co Indiana. Almedia was living in Indiana with her sister and brother in law and that is where she married James. They must have been in California by 1876 as their oldest child is listed as born there in their 1880 Sonoma Co CA enumeration. They were in California for several years and then in Tennessee during the birth of one child before going back to Indiana and eventually on to Chicago IL area. James was born in Pennsylvania and his parents were born in California and New York. Almedia was born in Tennessee as were both of her parents. They seem to have traveled a great deal. James and his sister Jane Bassett Adkinson in particular and for a time the family was in Wisconsin. There were several deaf schools in those areas they traveled to and that may have been part of the reasoning. James and Almedia along with their families left records in so many places--- a wonderful thing because it maps out the timeline of their lives. If you are a Bassett or Atkinson research (or a Riddle and Hitchcock researcher) I'd recommend checking out the Special census for all of the families. On August 28, 1930, Dr. Blackwell Markham of Durham NC wrote a letter to the Commissioner of Pensions in Washington, D.C. asking for information on the following Revolutionary Pensioners of North Carolina. James Blackwell, 10th Regiment, Bradley's Co. enlisted July 20, 1778. The information provided in the response gives a bit of insight into the Blackwell, Pope, Cook, Clopton and Nall families of the Granville County, North Carolina area. The digital images of the original file including the correspondence can be found at Fold3.com in the Pension file of James Blackwell(North Carolina) which include his widow's pension W. 18613 . Below is the information(typed by me) which was included in the 2 page letter from E.W. Morgan in response to Dr. Markham's inquiry. A search of estray laws at Google Books yielded several books which cover colonial and early American law. I found one about the areas in which many of my ancestors lived but I'm sure there are others there or at the other online books sites. Try a search for one and include the name of the area in which your ancestors lived. Several months back my sister, my youngest brother, and I "went in" thirds on a 37 Marker Y-DNA test for our Cook/Cooke line which has been stuck at our 2nd Great Grandfather W. C. Cook(1811-1882) for the entire 27 years that I've been researching. FTDNA is the only option for YDNA testing at this time. We had very few clues. His place of birth which was given as North Carolina in all his census entries. Our other clues was that he was somehow connected to the Joseph S. Cook who died without a will in Williamson Co TN in 1838. With no will, there were no other clues to the connection other than the names of those who purchased from the estate. We needed to narrow down the NC Cook lines assuming that he was born in NC as his census entries suggested. In autosomal DNA testing, your DNA(all 22 pairs of chromosomes and the X chromosome--2 xs if you are female) is compared to the DNA(Chr 1-22 & X) While you get 50% of your DNA from your Dad..and 50% from your Mom. You won't always get the same portions as your siblings. It will be an assortment. So much so by the time you get back to the 3rd cousin level 10% of 3rd cousins won't share DNA and at 4th Cousins you have a 50% chance of sharing DNA. The Y DNA which is passed from father to son in the direct male line does not change that much from generation to generation. Sometimes it will pass unchanged for many generations which is why YDNA testing helps to "zoom in" on your direct male line. If you can't afford to purchase a Y DNA test on your own, consider sharing the cost among your siblings or cousins. Holiday sales will be happening soon so it is a good time to start thinking about that. With a common surname like COOK one really can't afford not to test. We may upgrade to a Y-67 marker but we have six matches at the 0-1 genetic distance level(tests ranging from 37-111) I realize that having only tested at 37 that is all they are compared to and someone who matches you at 0 Gen Distance at 37 may have additional mutations which will increase the genetic distance if they both upgrade to a higher marker test. You may have to do as I did and find the path to your match's most distant male ancestor(in the case of Y Testers). As far as autosomal testing recommendations, test as many of your relatives(especially the older generations) as you can. Second Cousins are very helpful for sorting thru your matches. If you test at AncestryDNA, be sure to upload to Gedmatch. 23&me tests can be uploaded to the Genesis section of GEDmatch. Hopefully FTDNA will be allowing uploads from 23&me and AncestryDNA again soon. **Hint** Sometimes you have to join the surname project in order to see the matches contact info. If you see a match and there is nothing in the TESTER portion of the table except for the name(ie. COOK, PATTERSON etc.) that tester has their settings to only show to project members. This is a list of those added from Rutherford Co TN. There are additional counties in the 7th District and you can find more information about others added in the district from other counties as well as other districts at the source listed above which is available at Newspapers.com. I found this listing of a Home for Self Supporting women listed in 1900 Chicago. It was run by Virginia Smith who is enumerated on the previous page. I'm not sure why the Green section is across the top of the image. If anyone knows I'd be interested to hear. It is on a few pages and some of them you can see thru it and read the words North Town. Almost looks like a digital bookmark. I Googled the city and the phrase "Home For Self-Supporting Women" and found several items on Google Books--among them Women Adrift: Independent Wage Earners in Chicago, 1880-1930 which looks interesting. Franklin, Lincoln and Marshall Counties of Tennessee were also in Dist 5 and had delegates added which are not listed here. You can find those in the paper listed above. From special census forms on Deaf Families information on the marriage date place for the couple and the name of their parents are given with listing of their children as well as siblings of Octavus and Omelia. This one in particular left more questions than answers so I had to read over what I know of Omelia's early life and go looking for more information in various records to see if I could piece together the picture. Ancestry.com. U.S. Federal Census - 1880 Schedules of Defective, Dependent, and Delinquent Classes [database on-line, http://search.ancestry.com/search/db.aspx?dbid=1634, search on Octavus W Fuller in Maine]. Provo, UT, USA: Ancestry.com Operations, Inc., 2010. Their oldest son Edward dies in 1900 at age 23 from Diabetes. Omelia is widowed in 1911 when Octavus dies from Cancer of the Liver. I find her next in Chicago where sister Almedia and her husband live. Omelia marries Richard Tracy in 1915 and this is where she is living when she dies Christmas Eve of 1924. I still don't know exactly how she came to met Octavus. I thought maybe it might have something to do with schooling or function for deaf persons. Maybe some day. I've been on a search for those who carry mtDNA of Milly Riddle Hitchcock(my 4th Great Grandmother). You can read more about the reason in my earlier posts. Only females are capable of passing on the mtDNA to their children. Although he would have never been able to pass the mtDNA on, Edward was a carrier of Milly Riddle's mtDNA. His mother Omelia was the daughter of Rebecca Hitchcock and Rebecca was the daughter of Milly Riddle Hitchcock. He died at 23 years of age of diabetes mellitus. Ancestry.com. Maine, Wills and Probate Records, 1584-1999 [database on-line http://search.ancestry.com/search/db.aspx?dbid=8994 accessed Oct 2, 2017 search for Edward Wright Fuller]. Provo, UT, USA: Ancestry.com Operations, Inc., 2015. Digital images in online database Ancestry.com. Maine, Death Records, 1761-1922 [online database http://search.ancestry.com/search/db.aspx?dbid=1962]. Provo, UT, USA: Ancestry.com Operations, Inc., 2010. accessed Oct 2, 2017. Ancestry.com. North Carolina and Tennessee, Early Land Records, 1753-1931[database on-line accessed 9/29/2017, http://search.ancestry.com/search/db.aspx?dbid=2882]. Provo, UT, USA: Ancestry.com Operations, Inc., 2013. Original data: Tennessee. Division of Archives, Land Office, and Museum. Early Tennessee/North Carolina Land Records, 1783–1927, Record Group 50. Tennessee State Library and Archives, Nashville, Tenn.
Making Connections: How Charles met Catherine? How does a girl from Tennessee end up meeting and marrying a guy from Ohio in the 1850s. What is the connection? In my blog post "Catherine Jones Bronson--U.S. Special Census on Deaf Family Marriages and Hearing Relatives" I noted that Catherine was among those on the pupil list at the Tennessee School for the Deaf in 1851. She marries Charles Bronson(also a deaf mute) in 1856. In the 1860 census, Charles & Catherine are living near Catherine's family. Charles' place of birth is listed as Ohio. A search of other pupils there yielded nothing remotely close to Charles Bronson. On a whim I checked the teacher listing and there is a George E. Bronson(source: Knox Co TNGenWeb--TN School for the Deaf) listed as an instructor from 1849-1853. 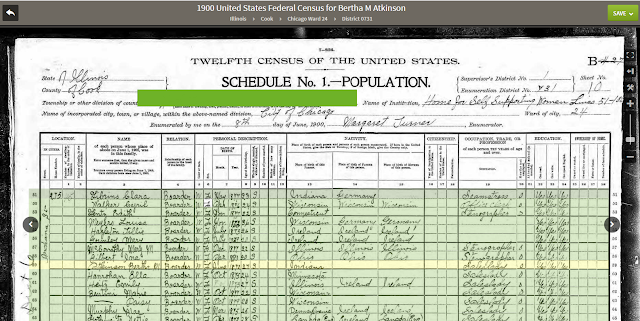 This is the same George E. Bronson who is listed as a sibling of Charles on the U.S. Special Census on Deaf Family Marriages and Hearing Relatives(see above image.) Did George bring his brother, Charles to Tennessee with him during the time he worked at the school? That would explain how a guy from Ohio came to know a girl from Tennessee. Well not completely wrong but a check of the 1850 Federal Census shows that Elijah and Fannie Bronson were already in Tennessee by the time that George takes the job at the Deaf School. They are enumerated in White Co TN in 1650. Elijah and his wife were both born in Connecticut. That kind of makes me wonder if they knew the Connecticut Hitchcocks. Charles' Mother-in-law was a Hitchcock. In 1850 George--noted as Deaf and Dumb is in KY in what I believe is his sister Sarah Bronson Powers household(though the 1850 doesn't list relationships) I've yet to find Charles during 1850. So now I know that the connection was at least that they lived in the same county AND had connections to the TN School for the Deaf. Having found one of the granddaughters of Milly Riddle in Ancestry's Database U.S. Special Census on Deaf Family Marriages and Hearing Relatives, 1888-1895 I was able to gather so much more information which led to finding two more of Milly's granddaughters(also thru her daughter Rebecca Hitchcock wife of Thomas Jones). Technically I found two daughters and the Charles Bronson(widower of Catherine Jones Bronson) By the time of this census--most of the paperwork for their entries showed 1889 and 1890--Catherine had been dead for the better part of 15 years. I've taken that into account when I am analyzing the documents in Charles Bronson's files. I also believe that there was another Catherine Jones' information mixed up in the files as the persons who were collecting the information were trying to go over the results. Page 4--Notes on the couple and their children. Year: 1860; Census Place: District 6, White, Tennessee; Roll: M653_1279; Page: 57; Family History Library Film: 805279 Ancestry.com. 1860 United States Federal Census [database on-line http://search.ancestry.com/search/db.aspx?dbid=7667 accessed Oct 1 2017, search on Thomas Jones White Co. Tennessee]. Provo, UT, USA: Ancestry.com Operations, Inc., 2009. Images reproduced by FamilySearch. Year: 1870; Census Place: Franklin, Johnson, Indiana; Roll: M593_330; Page: 265A; Family History Library Film: 545829 Ancestry.com. 1870 United States Federal Census [database on-line http://search.ancestry.com/search/db.aspx?dbid=7163 accessed Oct 1 2017, search on Charles Bronson Franklin Co.Indiana]. Provo, UT, USA: Ancestry.com Operations, Inc., 2009. Images reproduced by FamilySearch. Labels: Bronson, deaf, Franklin Co IN, Hitchcock, Indiana, Jones, Riddle, Special Census, Tennessee, White Co. In one of my previous posts I wrote about finding Milly Riddle's Granddaughter in the Ancestry Database U.S. Special Census on Deaf Family Marriages and Hearing Relatives, 1888-1895. I've been in the process of "digesting" all the information. I did a search via Google for Platteville Wisconsin, the location Jas. A. Bassett mentioned and included the word deaf school. That search returned a link to a book available for free via Google Books ---American Annals of the Deaf: Volume 65 which contains some information about a school for the deaf located in Platteville, Wisconsin. I'm intrigued by the title and VOLUME 65. That's a lot of information for anyone with deaf cousins ancestors etc. Need to also check all the other locations mentioned. Having found that much info on the Hitchcock/Jones line I couldn't resist searching within the same database for the surname Hitchcock BINGO!! The Amelia(spelled Omelia in most records) Jones and Catharine Jones Bronson are sisters of Almedia. So now I also want to go back over all the census records for this family and see if there were notations for those who were deaf. I'm sure there will be loads more information to process and further leads in the additional special census entries I located. In Almedia's entry it said that her parents Rebecca Hitchcock and Thomas Jones were first cousins. I know that Rebecca's mother was Milly Riddle...at least I think I do. So I want to find out how. It has to be thru a male Jones marrying a female Riddle or Hitchcock. There is an Elijah Hitchcock which signs on George and Milly's marriage bond(Roane Co TN). 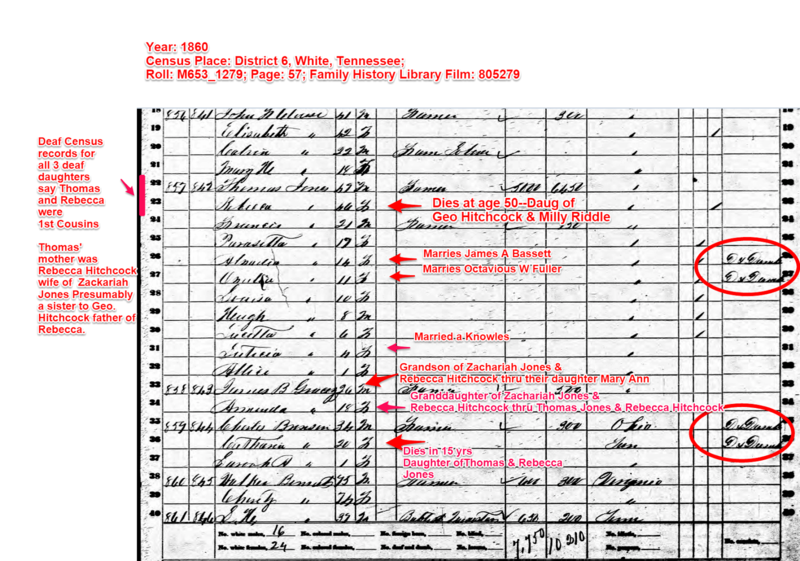 I believe this Elijah Hitchcock is the same one that shows up in White Co TN census records after George and Milly are in Warren Co TN(a neighboring county) which may just have been down the road depending on what portion of White Co in which the other family lived. I could also search for the area within the database and maybe get some hints about others in the area who were also deaf. Lots of great ideas and a lesson to always check out images. It will also be interesting to compare the sisters responses to see if the information they give is the same. In search of females descendants of Milly Riddle I found a WONDERFUL resource at Ancestry.com U.S. Special Census on Deaf Family Marriages and Hearing Relatives, 1888-1895 This find is great not only because of the amount of information but also because of the time period it covers. It also shows that people during that time were a great deal more mobile than I would have imagined. Below are the notes I copied from the 4-page form. I also added my own notes in parenthesis to some. I'll post more about this as I process the details within this entry. U.S. Special Census on Deaf Family Marriages and Hearing Relatives, 1888-1895 [database on-line]. Provo, UT, USA: Ancestry.com Operations Inc, 2009. Place of Marriage: Franklin, Ind. Emily A Bassett, Franklin H. Bassett, Isabella J. Bassett, Bessie P Bassett, Nelson T. Bassett, Arthur D Bassett, Julia B Bassett, Hattie O Bassett. Notes: Records of births unattainable--mother doesn't know them. Hattie died the last week of August 1889 under 2 yrs of a Whooping Cough. Parties were not related before marriage. Remarks: Bright vigorous children. Family not very well off. Bassett ---bro of Mrs. Atkinson. Never say never. I guess that somewhat applies here. I've always said that I didn't have a question that mitochondrial dna(mtDNA--mother line DNA) could answer but as I was sending a Hitchcock researcher additional info, I realized that is not the case. A little backstory into what I feel probably brought about the story that Milly's maiden name was Combs. While I am a descendant of George Hitchcock and Milly Riddle, I am also a descendant of John Fleming and Nancy Combs. Two of George and Milly's children(James P and Nancy) married two of John and Nancy's children(Charlotta and Alfred P.) This may have added to the confusion. So while I may not be able to tell if Milly was a Combs...I can see if she and Nancy had the same mother. I carry Nancy Combs Fleming's mtDNA. Milly has a lot of female descendants so I could probably find a straight line female line and I'd like for that to be thru a different line than that of her daughter Nancy Hitchcock Fleming's line(Not to be confused with Nancy Combs Fleming) Of course the thing holding me back now would be to find the finances to pay for the mtDNA test. I found this article using Newspapers.com. It is the closest thing to an obituary that I have been able to find for my paternal Grandmother's dad, James M Jakes. 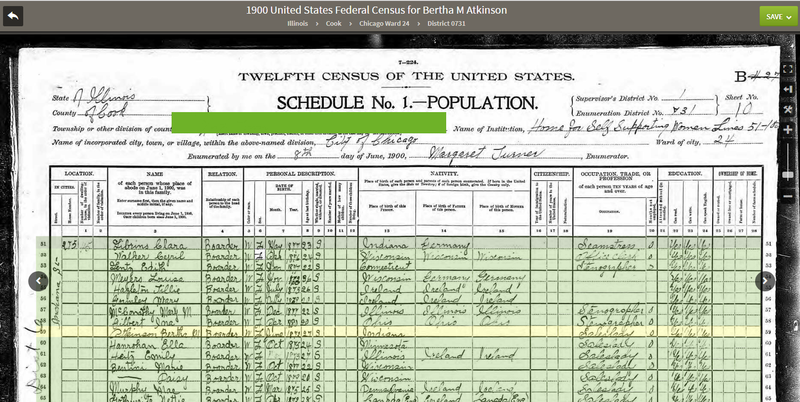 He was living with my Grandparents in Old Hickory(Davidson Co. Tennessee) in the 1940 US Federal Census. I do have a copy of his death certificate which shows that he is buried in Willow Mount Cemetery in Bedford Co TN. For whatever reason, his death year was never placed on his gravestone. I should also note that there are several errors in the survivor listing. Two Sons: Will and Euless Jakes Four Daughters Mrs. Tom Bell, Mrs. Cora Gibson, Mrs. Lula Gibson, and Mrs. Tom Cooke. The following are the persons filing from Giles, Lawrence, Maury, Montgomery, and Robertson Counties of the Middle District of TN and I've listed them by county in no particular order. I found the following article in an old Alabama newspaper at Newspaper.com. Was it published in there because the Elzeys had a connection to that area of Alabama? I wish I knew. May have been carried in many newspapers over the country as they liked to run news from all over the US. My 3rd Great Grandmother Adeline Eliza Elzey Hale was said to have been born in Alabama but I have never been able to find anything on her family. The only insight I have is info given by her granddaughter, Phoebe Hale McCormick. In evaluating the information in the statement I need to remind myself that Phoebe was only 5 years old when her Dad's mother, Adeline passed away in April of 1905. Too, it should be noted that Phoebe's Dad, John Nathaniel Hale was the youngest child. John N. Hale never knew his Daddy as William Taylor Hale drowned in the Collins River shortly before his birth. The account of Wm Taylor Hale's unfortunate death is mentioned in Phoebe's recollection of her Grandparents. Much of the information detail events which happened up to 80 years before Phoebe was even born. Of course these events in this newspaper article are happening in 1895 which is about 10 years before Adeline Hale dies. These could be nephews, or brothers cousins or even great nephews. Her surname has been spelled a variety of ways. The details of the buggy wreck are pretty gruesome. So I went looking for any record of a William Elzey in the 1880 census and found one in the Adams Co Indiana area. From that information I was able to find details of who he married and also his Death Certificate(from Ancestry.com) which lists him as a widower. Ancestry.com. Indiana, Death Certificates, 1899-2011 [database on-line]. Lehi, UT, USA: Ancestry.com Operations, Inc., 2015. Indiana State Board of Health. Death Certificates, 1900–2011. Microfilm. Indiana Archives and Records Administration, Indianapolis, Indiana. I did a search for the cemetery where he is buried, having gotten that information from the Death Certificate and found a listing for Reynolds Cemetery at the Adams County page of the INGenWeb. Addition info was listed at the website in an obituary and while it didn't say exactly when his wife died it gave the impression that it had been more than several years. The obituary also told of Wm. Elzey coming to the Decatur area in 1836 with his father from Clinton Co Ohio. His father is also buried at the Reynolds Cemetery. LOTS of information. Also in the Reynolds Cemetery there is a Mary E Elzey Mann who dies in Oct of 1895. This particular Elzey family doesn't appear to be connected to my Adeline Elzey Hale within the 1800s. There may be some connection back in Deleware and Maryland. There are several families from Maryland and Connecticut which settled in Van Buren Co TN. I am also intrigued by the Martin Family connection to this Elzey. There are many many Martin family connections in my autosomal DNA results but no patterns yet. I'm putting this aside for now but this information could come in handy if I ever make a connection to Elzeys in Maryland. The A.J. McElroy mentioned is my 3rd Great Grandfather whose full name was Andrew Jackson McElroy. His Dad was Andrew McElroy who moved his family to the area from Oglethorpe County, Georgia. Do you use Member Name or Username on your AncestryDNA test? I use my Real Name(Member Name) on my account as my Display name. I've been working with shared matches and have found that you cannot send an AncestryDNA share link to a person who has the preference set to show their Real Name rather than their username. Showing the Real Name is the recommended setting by Ancestry. While this may help to identify the tester, you can't use that name to send the share link. You must find their email address or somehow figure out their username. Sure you can message them and ask for an email address or their username but then the message system seems to be sporadic at best. Counterproductive for sure and I hope there is a workaround. If they are identifiable at GEDmatch that isn't a problem as you can get their email address from your One To Many match list there. Just be aware if you use your Real Name instead of username, folks who don't know your username or who don't have your email won't be able to send you a DNA share link successfully. I suppose you could put your username in your profile. I have my email address on my profile but I am not sure how many people browse to the profile page. Having had luck "cold" sending DNA shares when no other form of contact seemed to get the Tester's attention, anything that makes the process harder is frustrating. Really hope that I haven't missed any invites. I also wonder if messages work the same way. Though I have never gotten an error message while sending one, there have been many that I have sent which didn't show up in my Sent Folder or don't accumulate on the match page. I searched Ancestry.Support and couldn't find any mention of this but received the error only on Profiles that used Real Name. Does this happen to you? The following are the persons filing from Dekalb, Putnam, Smith, Sumner, Warren, White, and Wilson Counties of the Middle District of TN and I've listed them by county in no particular order. Share links from any AncestryDNA testers who match on that segment. Gather as many of the Share Links from persons in the TG as you can. Compare each of the members to each other(see image a) noting patterns of Surnames and Locations. This is similar to using the Share Tab Tool however you aren't limited to 4th or closer cousins(see image b). If you have a full sibling or full siblings which have also tested at Ancestry, obtain a share link from them if you do not already have one. Run a comparison of their test against the members of the TG and repeat the same process with their Trees looking at patterns in Surnames or Locations. It's easier than ever to utilize the Share DNA Matches View now that both the Owner AND/OR the Guest Viewer have the ability to turn off the SHARE view. Your results may vary but this method has worked for me each of the 3 times I have used it. The segment sizes in the group ranged from 19-48 cMs. You can do something similar to this using Match-O-Matic in DNAGEDCOM although you may have to use an older version of DNAGEDCOM to do that. I don't think it was in the last release. I run both versions on my computer. Hope this will be useful to others who are trying to map their chromosomes to the contributing ancestor or ancestor couple. The Nashville Republican(March 1843) printed news that it received from the Sparta Gazette(Sparta TN) about a murder that was said to have taken place in Van Buren Co Tennessee. Last names were mentioned but no first names and the details about the incident and the persons involved were not very clear,but the paper did mention the confusion. In the end the story that the Gazette had printed ended up being a false report. The Sparta Gazette printed a retraction of sorts which the Republican Banner also passed along to it's readers. While this was a rumor, over the next 130 years in the Van Buren and Warren Co TN area there would be murders and lynchings that would make the national news. I heard my Mom talk about some of these as she knew the Bratcher, Gibbs and Yates families from having grown up in that area. Victor Hillis was married to my maternal Great Grandmother's sister. 1894--The murder of Carroll Martin during a robbery. 1896--William and Victor Hillis(Brothers) were tried for the Martin's murder TWICE. The first trial resulted in hung jury, They were convicted and sentenced to death as a result of the 2nd trial but were lynched by a mob shortly after that..
1943--Novella Johnson Yates killed her husband with an ax. She served a number of years in a mental institution. 1955--Four members of the Bratcher family were killed by Billy Gibbs. The following are the persons filing from Bedford, Coffee, Davidson, Rutherford, and Williamson Counties of the Middle District of TN and I've listed them by county in no particular order. James Jakes, but which James Jakes? Is this my Paternal Great Grandfather James Jakes among the 37 persons drawn to serve as jurors for the April 1880 term of the United States Circuit Court. It is not his grandfather, James Jakes as he passed in 1847. It could be his uncle James Jakes. His Uncle James Jakes also married a daughter of James Morrow & Margaret Sutton. The children of this Uncle were my Great Grandfather, James Jakes' Double 1st Cousins. My Gr Grandfather, James Jakes(b. 1857) was not yet married and was boarding with the Armstrong family in 1880 in Dist 1 of Bedford Co TN which contains Fairfield. This Uncle James Jakes(b. 1825) had been living in Coffee Co TN in the previous census years. 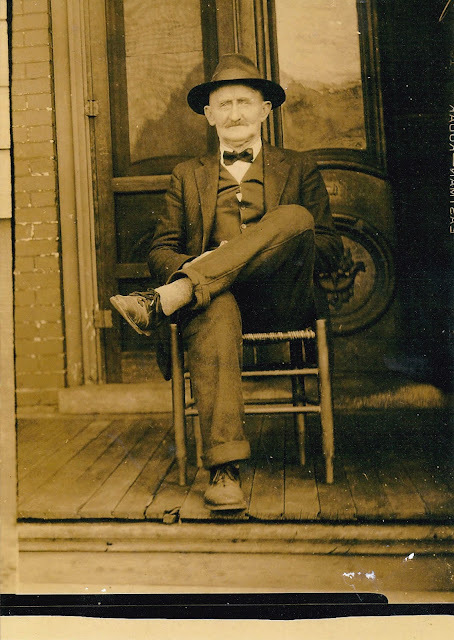 However, in 1880, he too is in Dist 1 of Bedford Co TN with his family. Nothing conclusive so far. Could be either of them. Records of the US Circuit Court Middle District of TN for the April 1880 Term would be where I'd need to check. Surely he would have had to give identification. The age would be the telling factor. Better yet, if for some reason he could not serve.there would be more paperwork no doubt. Now to see if I can locate where any of those records would be housed, if there is access to them and record of those called to serve. The snippet below is from the will of Dr. William Williams who is mentioned in the above article. Dr. Williams' wife was Elizabeth Branch Donelson. Another familiar name in Tennessee history. Dr. William Williams is buried in Spring Hill Cemetery. Ancestry.com. 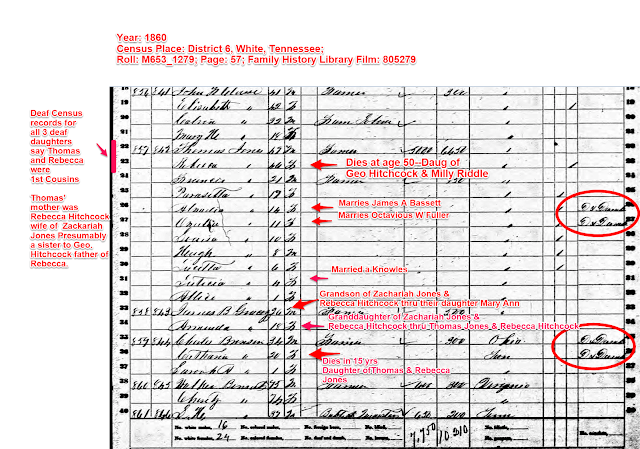 Tennessee, Wills and Probate Records, 1779-2008 [database on-line]. Provo, UT, USA: Ancestry.com Operations, Inc., 2015. Original data: Tennessee County, District and Probate Courts. If you have been researching genetic genealogy for any length of time and I guess more so if you have also taken courses or attended webinars, you have heard about the randomness of DNA as it pertains to autosomal DNA inheritance. While we each get 50% of our DNA from our father and 50% from our mother, the 50% that we get from each parent is not the same 50% when comparing to other siblings(unless you are comparing Identical Twins). I have 4 full siblings, only one of which has tested. Even with just one having tested I can see that is true in comparing our matches and the amounts she and I match them. Our Mother has tested also, so I have phased kits created at GEDmatch using her results in comparison with mine and also phased kits comparing her results to my sister's results. These are very useful. Ancestry has a phase filter which you can use if one or both parents have also tested at AncestryDNA. Since I only have one parent that was able to test, that tool lets me see a listing of matches who are also a match to my Mother. Keep in mind the match range is similar to Shared Matches tool in that it only includes 4th cousin and closer matches---not Distant Cousins. It would be nice if they could do a list of 4C or closer who DO NOT MATCH when there is only one parent who has tested. The chart below compares my match list with that of my full sister. I did not include our Mother's results for our maternal matches nor the matches of my daughter. I may do that in a future post Those covered are matches who Ancestry DNA estimated were in 3rd cousin range for at least me OR my sister. The RED border is around those who were in my list at 3rd Cousin or above. The VIOLET border is around those who were in my sister's list at 3rd Cousin level.who were ranked as 4th cousins by Ancestry in my list. Notes: Both of our parents have Colonial American Ancestry. Pretty much all of our ancestors were in the US before 1800. Six of my matches that were estimated 3rd cousin were in the 4th cousin range for my sister. Eight of my sister's matches that were estimated 3rd cousin were in the 4th cousin range for me. There was one match who was on the low end of a 3rd cousin match for my sister who was in my Distant Cousin match. in the gap(195 cM) and it was noted as a 3rd cousin.